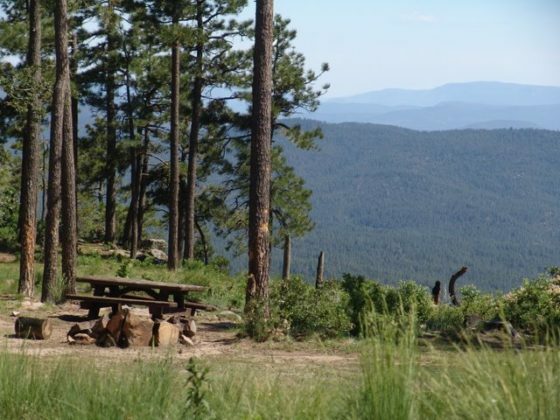 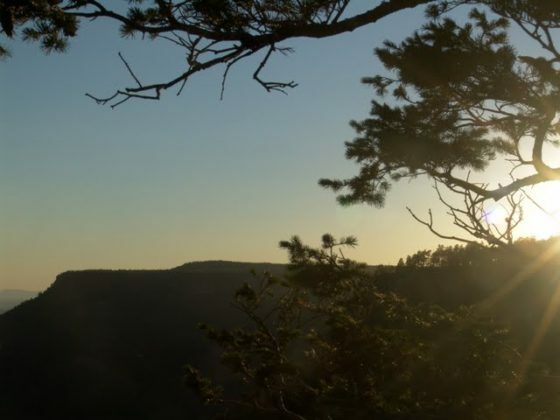 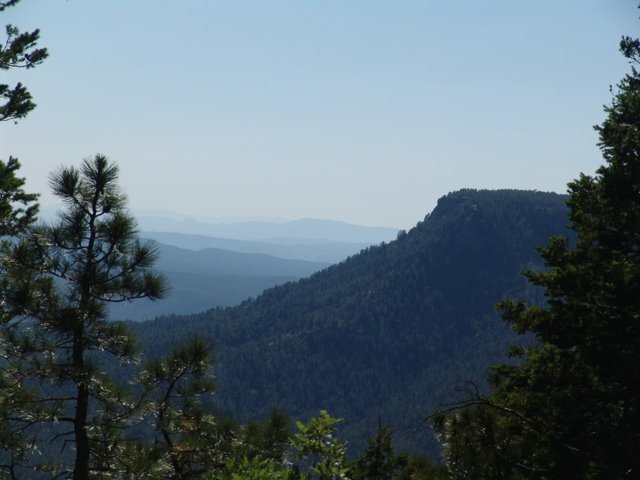 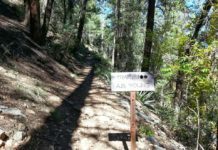 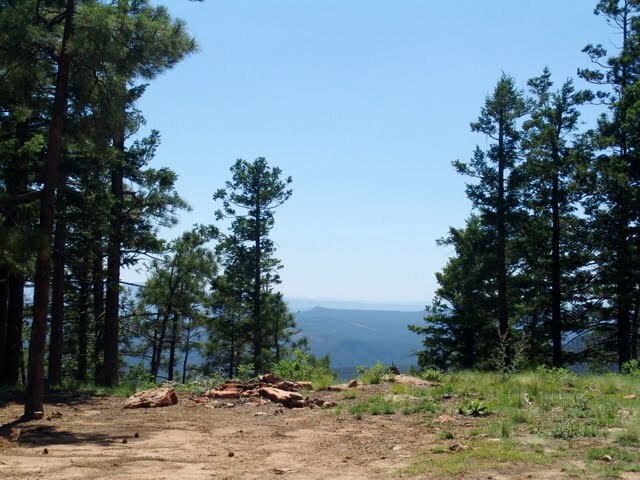 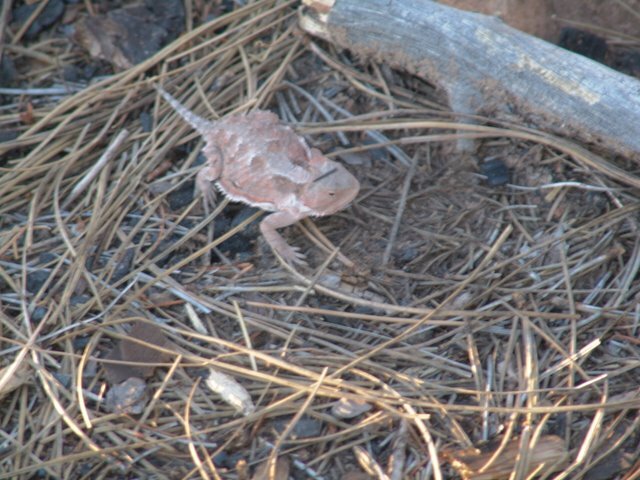 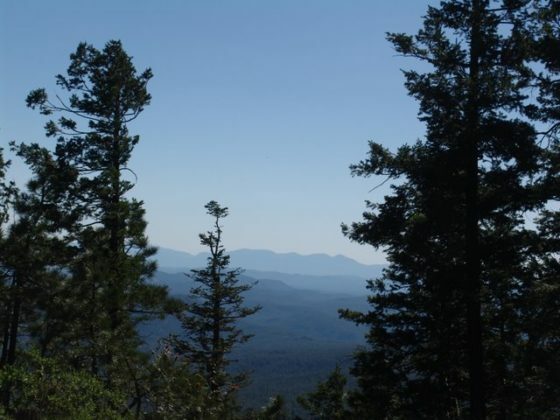 FR 9350 is a dispersed campground that sits right on the edge on the Mogollon Rim. 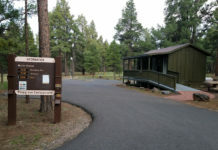 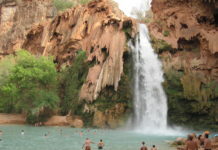 The town of Christopher Creek is directly below the campground. Several of the campsites are within a few feet of the edge, which drops off several hundred feet, so choose your site wisely. 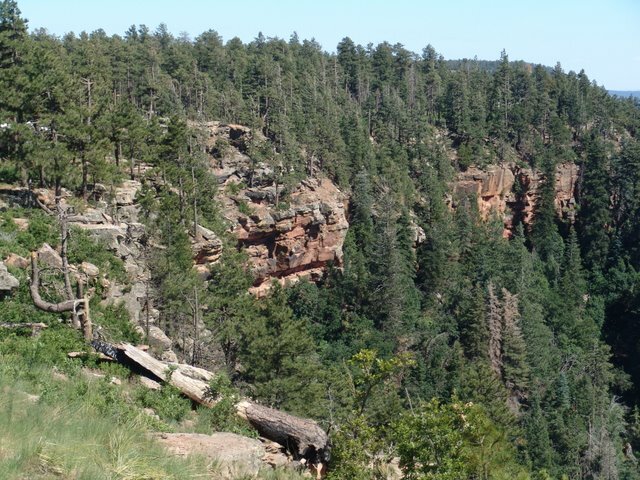 The road into the campground splits campground with half the campsites near the rims edge and half the campsites away from the rim. 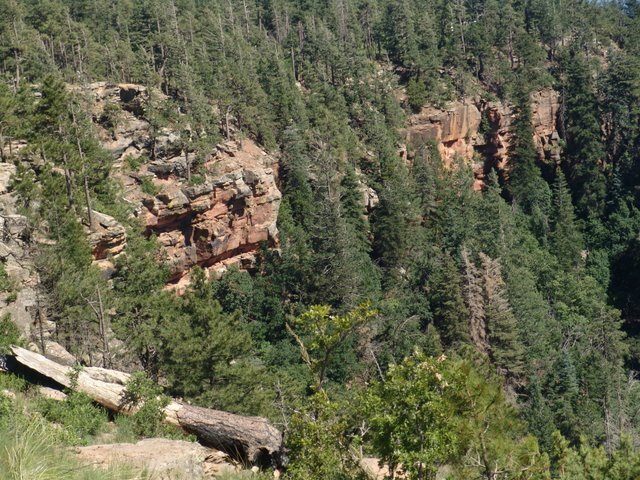 if you have kids, I would suggest a campsite on the right (north) side which is most likely 100 to 200 yards or so from the rim. If you have small children, I would not recommend camping here at all. 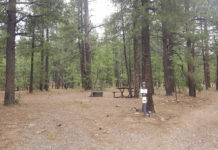 There is a pit style toilet near the entrance of the campground and adjacent to the toilets is a small corral for your horses if you are horseback riding along the General Crook Trail. Water is not available so make sure you bring your own, the same goes for firewood. 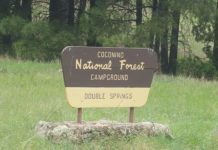 Water and firewood are available at any of the campgrounds along Rim Road including Rim Campground and Mogollon Campground. 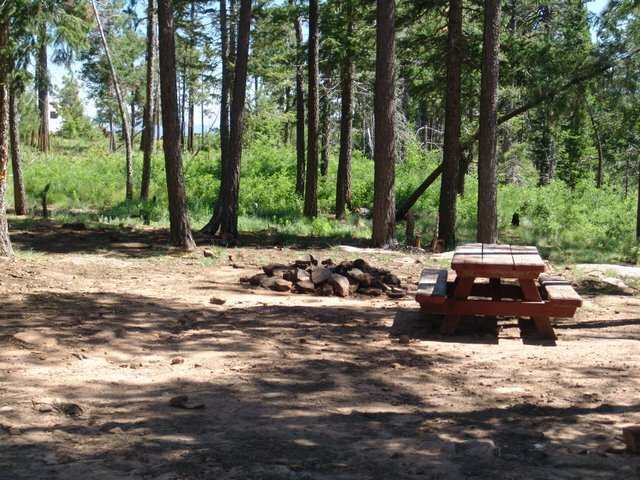 Each campsite has a picnic table and most have grills. 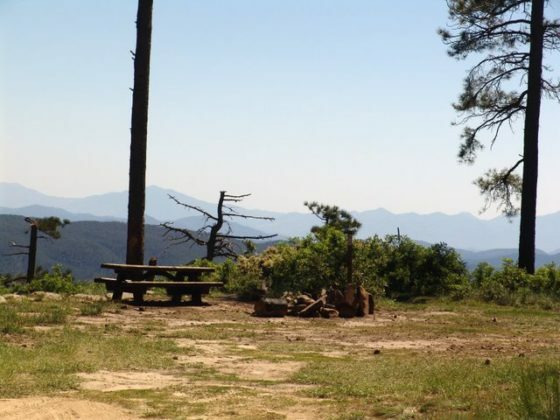 There is a camp host in the area near the entrance (at least there was the last time I camped there). 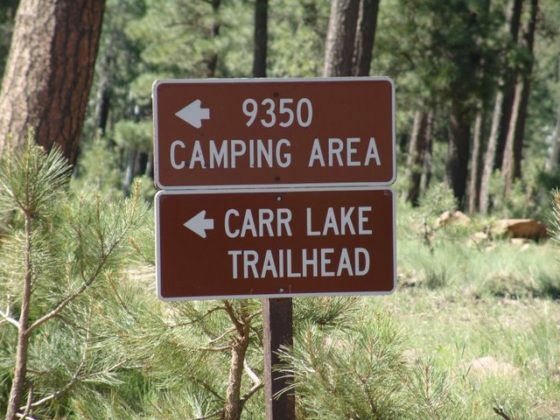 The host was in the first campsite on your way in just past the restroom. 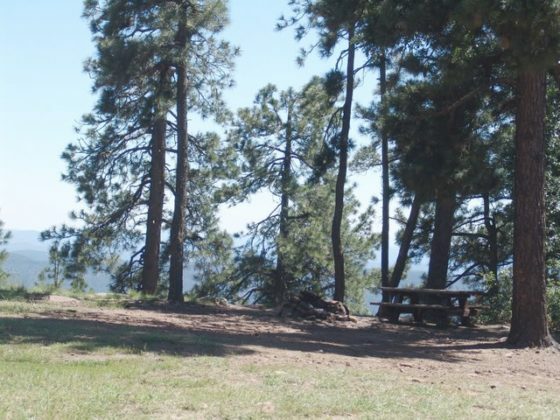 Woods Canyon Lake is just 3 miles away if you want to go fishing. 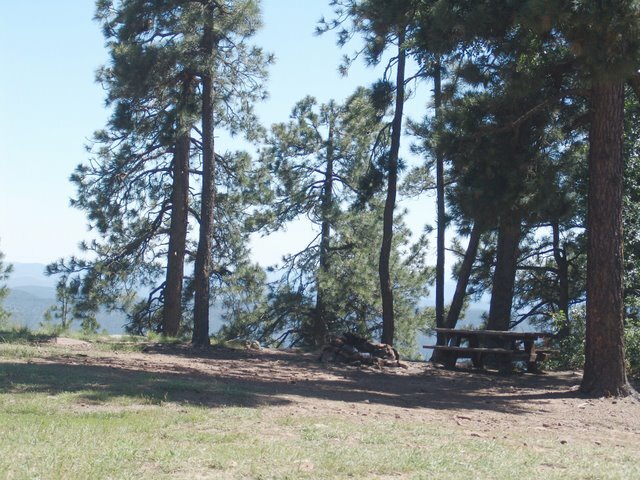 There is a general store at the lake for any of your shopping needs. If this campground is full, which happens often, there is another dispersed campground (FR 171) just up the road 1/4 mile (west) from the entrance on the right hand side of the road that tucks in behind Woods Canyon Lake (See map). 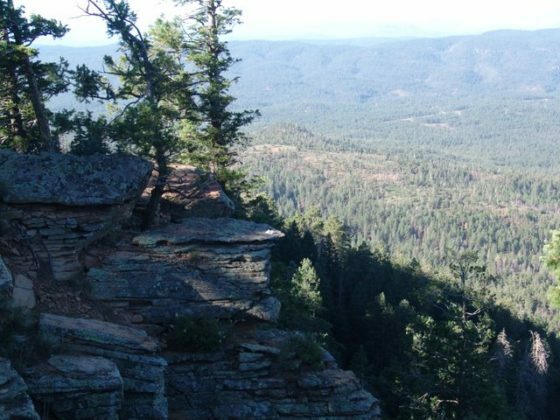 From the Rim Visitor Center, travel west along the road towards Woods Canyon Lake. 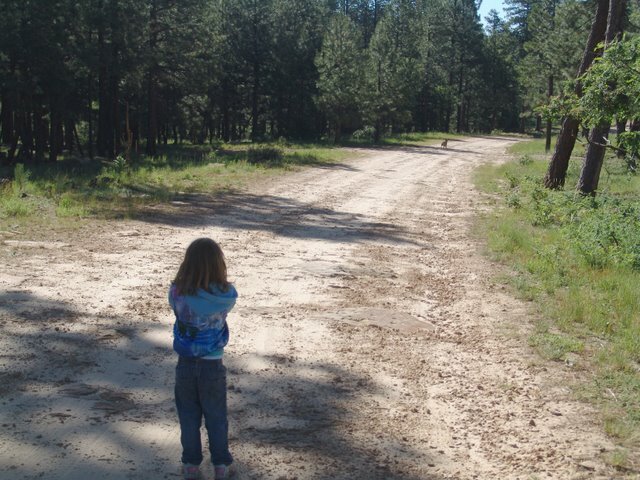 At the Woods Canyon Lake Recreation area turnoff, the paved road turns to dirt. 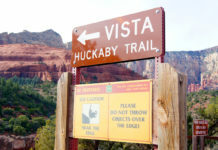 Keep straight and drive 2 miles down the dirt road and look for a sign marking the campground on the left.